The Big Red Barn hosts hundreds of events each year, and the below are among the most popular. 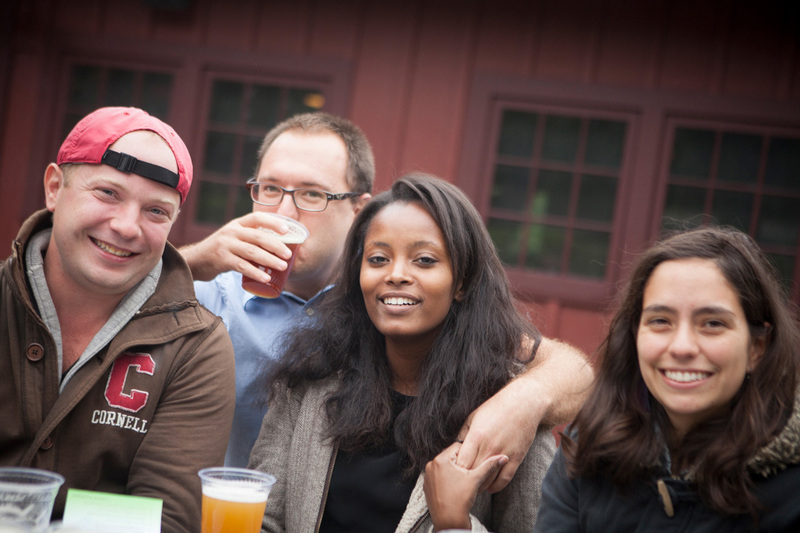 Be sure to check out the Graduate School events calendar to see upcoming Big Red Barn events! Weekly Trivia Night: This allows students to get out and socialize with other staff/faculty and students outside of their fields and enjoy a bit of competition. TGIF – Tell Grads It’s Friday! : A weekly get-together of all graduate and professional students, staff, and faculty in a social setting. This allows for interaction across fields. Speed Dating: Held twice a semester, this event is a great way for Graduate students to meet others outside their fields. Participants meet 20-25 people in 2 hours or less. Art Exhibits: The BRB hosts monthly art shows from graduate students who are not MFA candidates and just do art as a pastime or hobby. Pumpkin Carving Party: An annual event that brings families and kids old and young together to carve a pumpkin for Halloween. It is also a great way for International students to participate in our American holidays. BRB Family Holiday Party: Celebrate all the winter holidays at this end-of-Fall-semester event. We also have Santa come to visit and meet the children of graduate and professional students. 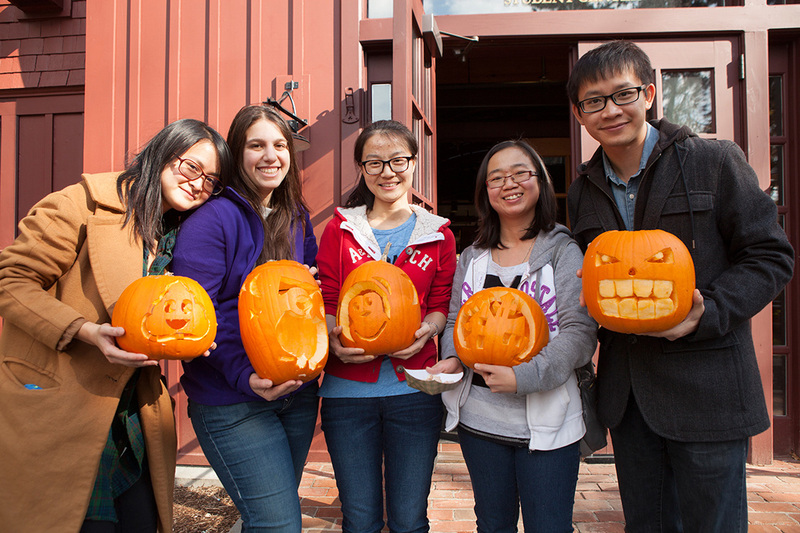 This too is a great way for International students to participate in our American holidays. Chocolate Fest: Hosted on Valentine’s Day every year. We have a presentation of the history of chocolate and the best wine pairings for chocolates. Then everyone gets to taste about 12-15 different kinds of chocolate. Kids’ Science Day: A wonderful day full of exciting experiments and demonstrations by graduate students to display their research to kids. It is hands-on and the kids really enjoy it. Brings a lot of graduate student families together. Faculty/Student Wine & Cheese Reception: This is an opportunity for faculty and students to come together in an informal social setting and just relax and enjoy each other at the end of the academic year. Annual Year-End BBQ: An annual event for all graduate and professional students and their families to get together enjoy a meal and celebrate the end of another academic year.